How Our Mainstream Media Turned Into The ISIS PR Team. Turning on the TV, browsing through the news on the internet, even walking on the street… So much repetitive talk about ISIS, all over the place. And yet, so often, I feel like nothing (new) is being said. Like nothing (new) is being learned. What do we even know about ISIS? In his recent talk with Democracy Now! Patrick Cockburn tried to talk about some of those things we don’t know, and don’t hear about in the mainstream news. Cockburn discussed the funding of the self-proclaimed Islamic State. He said it seems like the Islamic State has much more money than it ought to have. “It’s raised certainly 100,000, and getting on over 200,000, soldiers. They’re all being paid. It’s introduced conscription. It recently lowered the age of conscription below 18. If you join up, you don’t get much. You get $400 a month. If you’re a foreign fighter, you’ll get $800 a month and your keep. But this is a pretty large army they’re putting in the field, and they don’t have many sources of revenue. They have some oil. They have some taxes. So, there’s a great big gap there, which senior Kurdish officials and officials in Baghdad have told me they’re convinced come from private donors in the oil states of the Gulf. That’s the only real explanation for that,” Cockburn said. What I find as one of his most important points is that the Islamic State is very obsessed with the idea of dominating the news agenda, and it doesn’t really matter how they do it. After months of seeing videos of executions, libraries burning and statues smashing in prime time news hours, we can all agree with that point. “So they know that if you have a Japanese hostage and you demand $200 million ransom, that that’s going to be leading the news. For a long time, cutting off people’s heads led the news. Then that—people became used to that, so they burn to death this Jordanian pilot in a cage, knowing again that will dominate the news, will be assertion of their strength. And they do that particularly when they’ve had a military setback. When things aren’t going too well on the battlefront, they want the news to be dominated by some assertion of power on their part, which may be a hideous atrocity, usually is, but they feel they’ve achieved their aim if that’s what everybody’s talking about. They said at one moment on their social media that media is half jihad. So it’s something they do very consciously, and it’s something they use, particularly foreigners entering the Islamic State, as a method of publicity,” Cockburn explained. It makes one think – should media stop covering ISIS stories, stop covering them the way it did so far? Because, so far (with some great and notable exceptions like Democracy Now!, Independent’s Cockburn and Fisk, just to name a few), media coverage suited ISIS’s agenda. Showing videos of executions. Statues smashing. Libraries burning. People burning. And that would be it, maybe a sentence or two of comment (with words like outrage, brutality, evil), a sentence or two about the references made to the prophet and Islam, sentence or two of some superficial analysis of the situation, a sentence or two of some additional ‘facts’. We get to know so little about the general situation on the ground, about the funding and the organizing of the fighters, about the various interests tangled in this story, about the background stories and issues. I don’t know if that is intentional, it might be. One thing I am certain of – the mainstream public, the average viewers, the ‘regular people’ – we get to know only the things ISIS serves us. Is that journalism? No, it isn’t. Our main media outlets are basically ISIS PR teams. 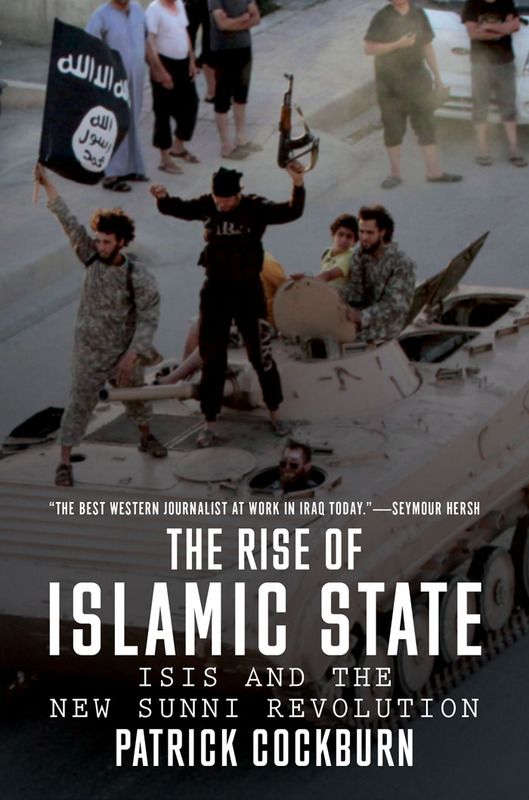 For more on ISIS, I recommend reading Patrick Cockburn’s book The Rise of Islamic State: ISIS and the New Sunni Revolution. I hope to review this book and write more about ISIS sometime soon. → Emile Habibi: The Secret Life of Saeed the Pessoptimist. ← Libya: A Story Forgotten.